In October of 2015, Aileen Winter Mostel and Barbara Wallace Winter launched WinterPrint, a surface pattern design business, to market and license Aileen's repository of mesmerizing photographic images. 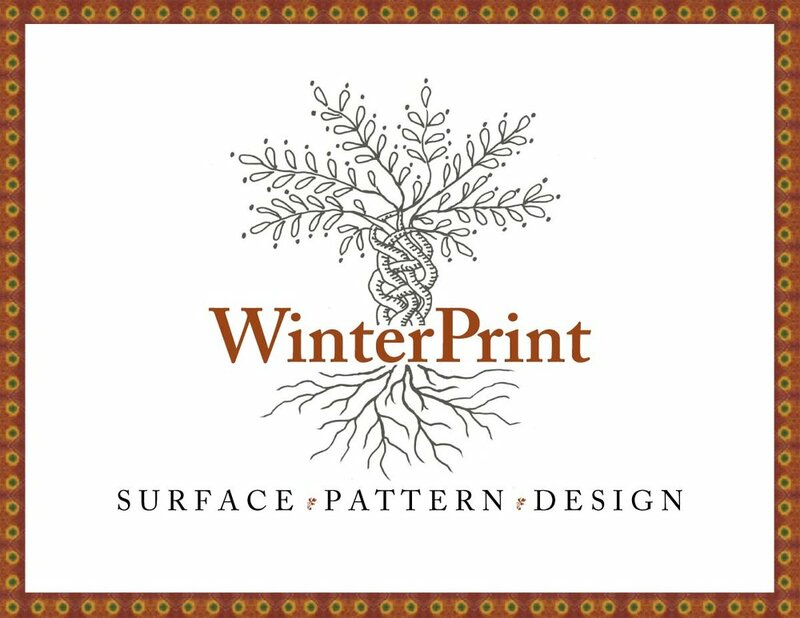 Natives of the Deep South, their ancestral roots have influenced the fundamentals of WinterPrint, crafting a family business based on a lifelong love of textiles, gardens and design. On daily walks with her dogs, across their rolling property, Aileen would make observations & photograph twigs, tree bark, insects, leaves, lichen, flowers & commonplace objects, transforming them into captivating designs.